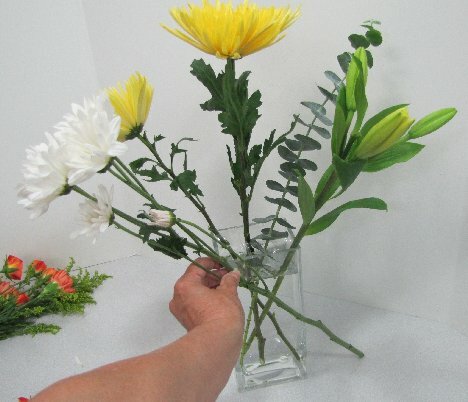 When balancing head size, smaller stemmed flowers can be massed to balance out a larger flower head. 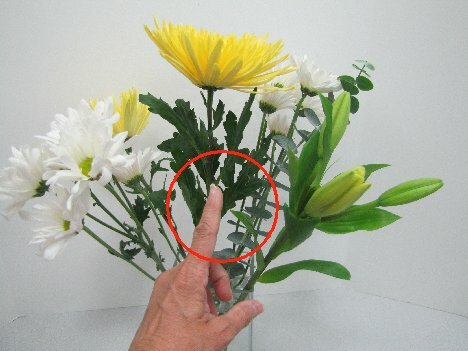 Be sure to remove any damaged flowers before using them in the arrangement. 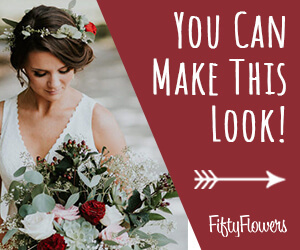 Again, always hold the flowers against the vase, cutting down to the correct height, keeping the rounded domed look even on all sides. 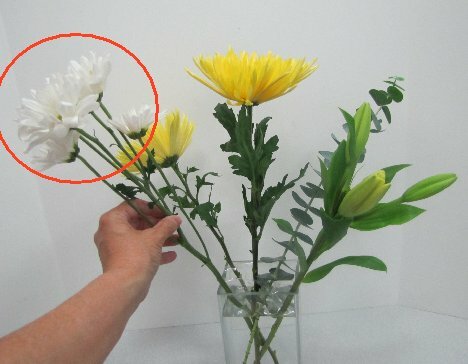 Can you see the rounded dome look and estimate how much length should be cut? 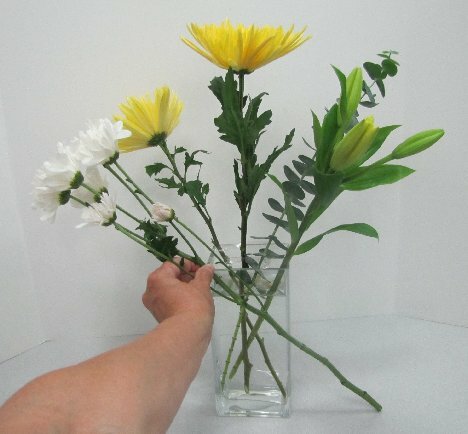 The white mass of daisies hold their own against the larger flowers on the corners. 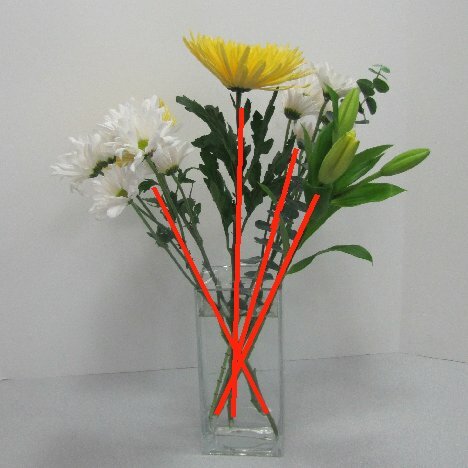 I'm going to balance both the color and the massed flowers by placing a similar stem on the opposite side. 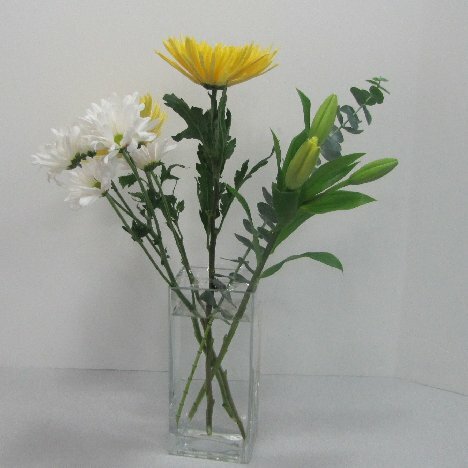 Notice with the insertion of the stems the center flower is standing upright now, supported by the other flower stems. 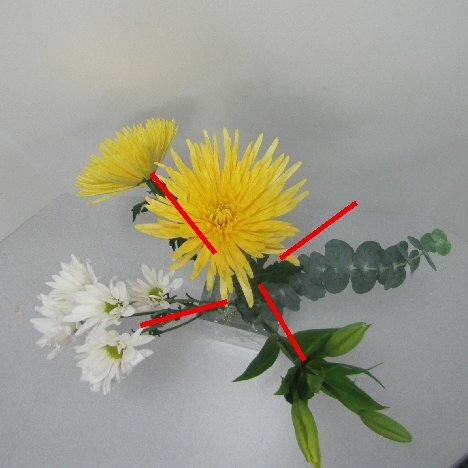 A view from the top shows the placement of the flowers surround the center flower. 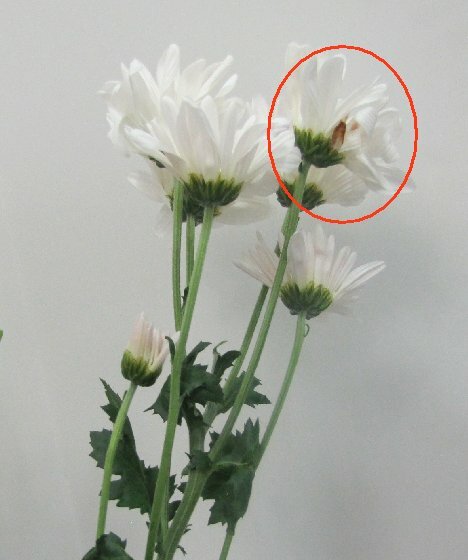 The flower stems should interlock, crossing the other stems in the center.